Self-Organising Maps (SOM) provide a method of feature mapping from multi-dimensional space to a usually two-dimensional grid of neurons in an unsupervised way. This way of data analysis has been proved as an efficient tool in many applications. SOM presented by T.Kohonen originally were unsupervised learning algorithm, however it is often used in classification problems. This paper introduces novel method for supervised learning of the SOM. 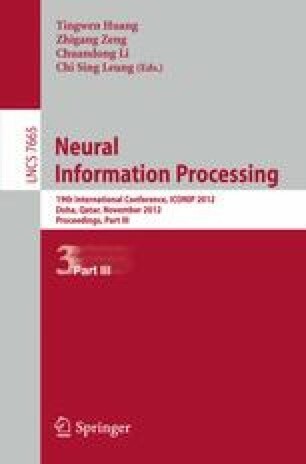 It is based on neuron’s class membership and Metropolis-Hastings algorithm, which control network’s learning process. This approach is illustrated by performing recognition tasks on nine real data sets, such as: faces, written digits or spoken letters. Experimental results show improvements over the state-of-art methods for using SOM as classifier.